Baker McKenzie has appointed Ian Innes as special counsel in its Brisbane office as the firm reacts to the needs of domestic and international clients with interests in Queensland. Innes joins the firm from Ashurst, where he has been since the start of his career. Most recently a special counsel at Ashurst, he started his career in law with legacy Blake Dawson Waldron in 1997. Blake Dawson merged with Ashurst in 2012. 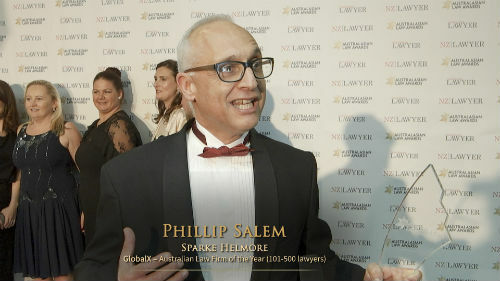 Innes has spent 20 years in the Brisbane legal market, becoming an expert litigator and dispute-resolution lawyer focused on insolvency and restructuring. Baker McKenzie Brisbane managing partner Leigh Duthie said that Innes has acted for a wide range of clients including insolvency practitioners, financiers, debtors and creditors. His experience also includes acting on energy and resources disputes, administrative law litigation, major project approvals, and asset recovery across international borders. His insolvency focus acting on matters across varied industries differentiates his practice, Duthie said. Duthie said that the appointment reflects Baker McKenzie’s response to the needs of domestic and international clients with operations in the state which has prompted the growth of the Brisbane office. Baker McKenzie now has three partners, three special counsel, and three associates in Brisbane.